Yes, Europe, you're right: It is silly that our week starts on a Sunday. Sorry. That's just the way we do it. America! But you can fix it so your week starts on a Monday, like a proper calendar should. Click on your avatar in the upper right corner, and select the Personal Settingsoption. 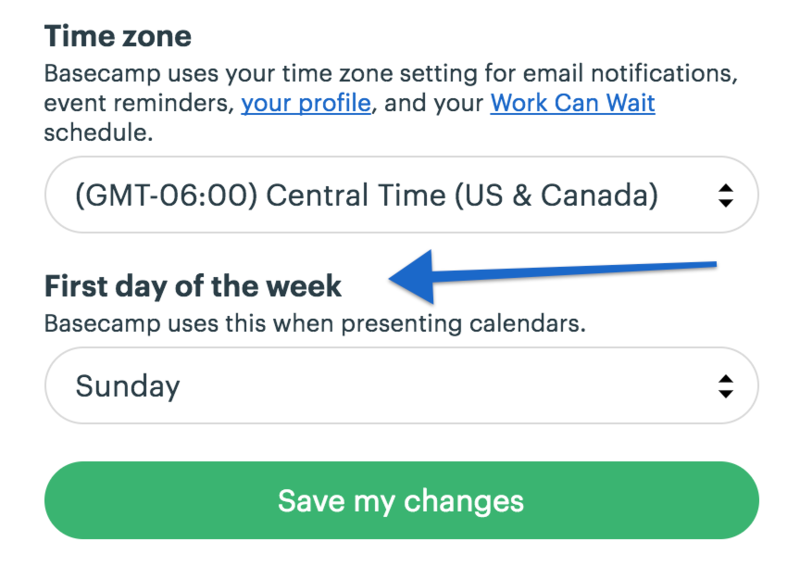 Note: This will just affect the date picker you use for events and to-dos. 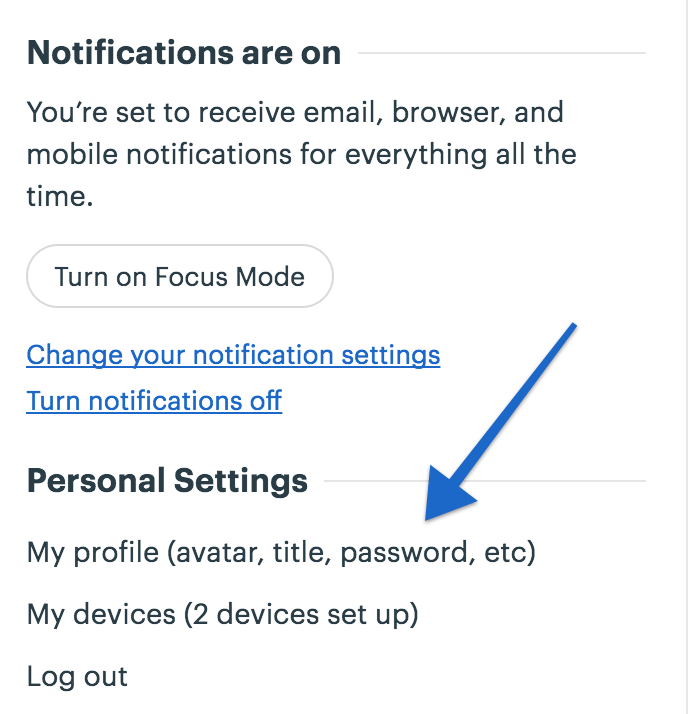 It will not affect other accounts you're on, so if you have multiple Basecamp accounts, you'll need to select this option in each account.